A lot of others musical styles arrived soon and influence her tastes (with Daft Punk, Miss Kittin, The Hacker, Vitalic, Birdy Nam Nam…). But it is only years after, end of 2015 that she decided to start deejaying.Things fell into place on the dancefloor of the clubs in Basel. In love with vinyls, it is naturally this support that she choosed first to play. Her musical style is a mix of Deep House, Tech House, Deep Techno and Techno. 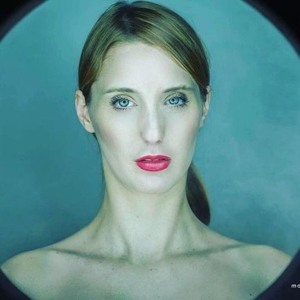 She was resident of the Borderline Club New Era in 2018 and resident of the 7th Sense parties in Basel. She played in Switzerland (Tension festival in Basel, Nordstern, Viertel and Saxo in Basel, Vanilla Club in Ticino), in Germany (Headliner, Katerblau in Berlin), in Thailand (Whiteline in Bangkok), in Luxembourg (for Lauter Unfug, Spot 48), in Paris (Panic Room) and in Belgium (L’escalier and Sound Night Club in Liège).